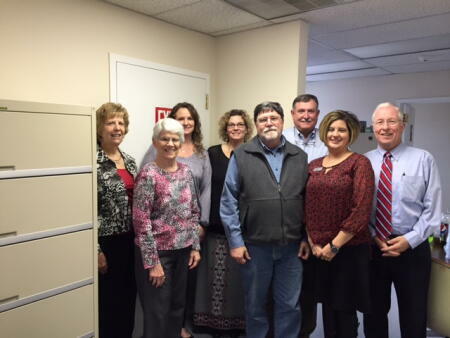 The board of advisors of the Haywood County Community Foundation announces 2015 awards from its community grantmaking fund, according to Gary Lance, board president. The Haywood County Community Foundation is an affiliate of the North Carolina Community Foundation. Tax-deductible contributions can be made to the Haywood County Community Fund, which is administered by the NCCF. Contributions should be made payable to the Haywood County Community Fund and mailed to the North Carolina Community Foundation, Landmark Center, 4601 Six Forks Road, Suite 524, Raleigh, NC 27609. Contributions can also be made online here. For information on the Haywood County Community Foundation and its community fund, contact any of the Haywood County board members or Sue LeLievre, regional associate, at 828-538-4299. Board members: Gary Lance, Clay Dangerfield, Belva Evans, Jonathan Key, Kip Ray, Jim Bromley, Susan Sorrells, Wilma Boatwright, and Bill Skelton.